Continental breakfast is amazing, very tasty, a lot o choice, great coffee. Rooms are very clean, spacious beds are really nice - you will have a good night sleep. Hotel has got great location close to motorways and Bremen. Friedan staff, good parking , Nice breakfast. The room was big and the bed was comfortable. Rooms are recently renovated with modern furnishings and lighting. The price was fine and we did sleep well. Would come back. Clean and rather quite even though it was just next to the motorway. Walking distance to McDonalds but a bit longer to a restaurant open late. No restaurant took credit card in the town!! Location is very easy to access and perfect for just a night. Breakfast starts good early and has enough choice of bread, cake and cereals. Breakfast was wonderful. Great place to stop after a long drive. Decent brekfast, very good location with quick access from and too autobahn. Hotel zur Riede bei Bremen This rating is a reflection of how the property compares to the industry standard when it comes to price, facilities and services available. It's based on a self-evaluation by the property. Use this rating to help choose your stay! This hotel offers free parking in south Delmhorst. The rooms are large, and the restaurant serves a wide variety of dishes. The city center is a 5-minute drive away. Hotel zur Riede bei Bremen has individually furnished rooms with a TV and private bathroom. The Zur Riede's restaurant serves a breakfast buffet each morning. In the evening, it offers salads, pasta dishes and game as well as vegetarian options and a special children's menu. 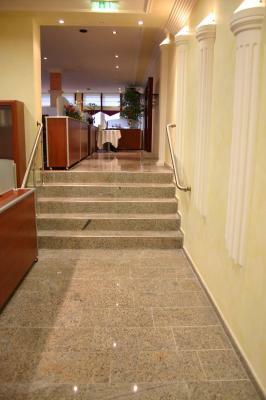 Hotel zur Riede is next to a business park, and a 2-minute drive from the A28 motorway. Bremen, its Airport and the Weser Stadium can be reached in 15-20 minutes by car. 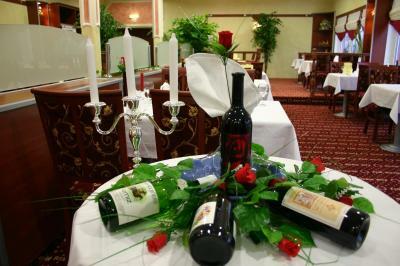 When would you like to stay at Hotel zur Riede bei Bremen? Modern room with warm décor offers a flat-screen TV with cable channels, work desk and a private bathroom. House Rules Hotel zur Riede bei Bremen takes special requests – add in the next step! Hotel zur Riede bei Bremen accepts these cards and reserves the right to temporarily hold an amount prior to arrival. Toilet was broken and kept running all night. Breakfast was almost nothing left at 9 (breakfast was from 6-10). Staff was ok except for a waiter who got highly annoyed that we by accident sat on a table without cutlery on it. Possible to check in late, lots of parking spots. Not enough space on car park. Room did not cool down at night even though window was open. The corners were dusty, the toilet was dirty. Shower was made from cheap materials was loose on the holder. The shower drain hat Amerasian looking cap that was broken off.